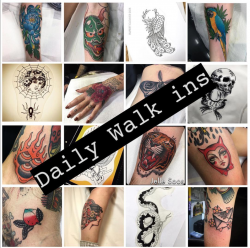 We have space for walk ins daily, with plenty of designs and flash always up for grabs. Please give us a call or pop in to check our availability. Thank you! We take walk ins everyday from 11 am till 7 pm, give us a call to 0207 4300 144 to book in!